Find out who is leading the race for high quality thought leadership, and who is falling behind. 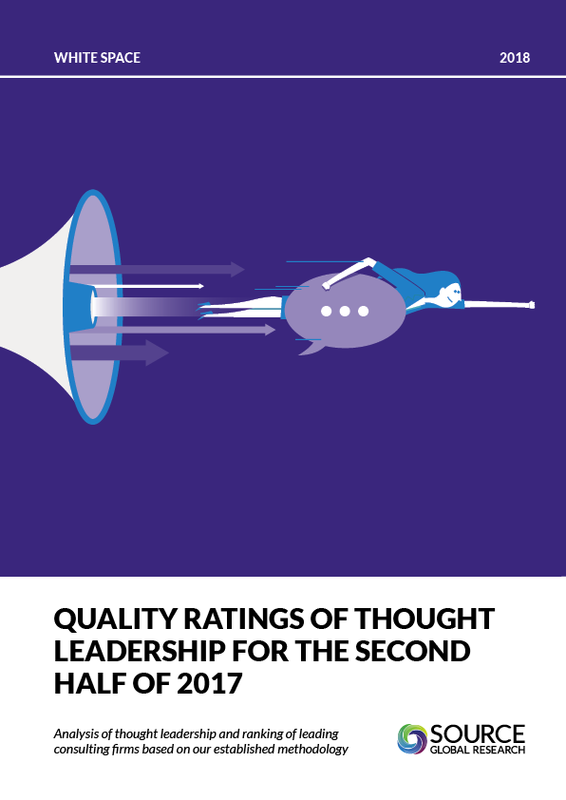 The results of our bi-annual ratings process provide a useful benchmark for those firms included, and helpful guidance for any professional services organisation wanting to impact senior executives through thought leadership. This report is available to White Space subscribers. It can also be purchased as a standalone report.